The Show-Me State is showing how the federal government could make it easier for vets to become truckers. The Driver's License Bureau of the Missouri Department of Revenue (DOR) has applied for two limited exemptions from the Federal Motor Carrier Safety Administration’s CDL regulations to help smooth the path for discharged military personnel to civilian careers as truck drivers. In its first exemption request, posted by FMCSA on April 11, Missouri DOR proposes that it be allowed to extend the 90-day waiver, afforded to all States, of the CDL skills test for applicants regularly employed or previously employed within the last 90 days in a military position requiring operation of a commercial motor vehicle to one year following the driver's separation from military service. The agency is requesting public comment on whether this exemption, if granted, should cover all State Driver's Licensing Agencies. Comments are due on May 11 and should be filed under Docket ID No. FMCSA-2016-0118. 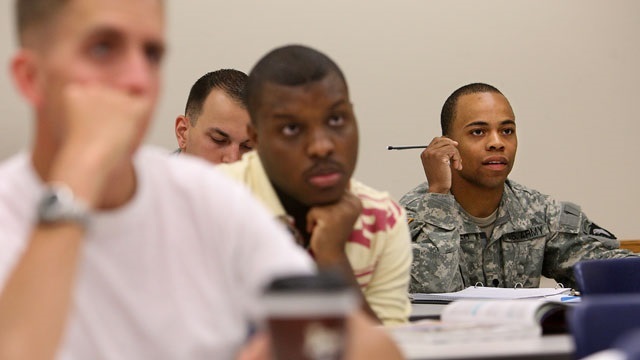 Missouri DOR’s second exemption request, posted by FMCSA on April 20, is from the knowledge test requirement for qualified veterans who participated in dedicated training in approved military programs. Per FMCSA, Missouri DOR states that its “goal is to assist qualified veterans in obtaining employment when returning to the civilian workforce” and granting this exemption will assist veterans who have already been through extensive military training. As with the first exemption request, the agency is requesting public comment on whether the knowledge test exemption, if granted, should cover all State Driver's Licensing Agencies. Comments are due on May 20 and should be filed under Docket ID No. FMCSA-2016-0130. Roadrunner Freight has released a mobile application called Haul Now for its independent contractors. ATRI launched an online survey to gather driver input on preferences for data formats and delivery mechanisms of truck parking availability information. Not everyone’s cut out for the world of hauling flatbed, oversized, and extreme over-dimensional freight. But at Lone Star Transportation, it’s a challenging and satisfying career for a handful of women drivers – and the company is recruiting more. A federal judge has thrown out one of two trucking association lawsuits challenging the California Supreme Court’s Dynamex decision last year restricting the use of independent contractors by transportation companies in the state. Following up on a pledge to help stem the flow of human trafficking, TravelCenters of America has donated $112,946 to Truckers Against Trafficking. Truck driver Paul Mathias was recognized as a Goodyear Highway Hero for stepping in to help a family whose SUV was struck by another vehicle in what turned out to be a fatal accident.